Recently, I was in Cape Town, South Africa. It hadn’t rained in weeks, and the blazing sun had dried out entire riverbeds. The streets were dusty, leaves had turned brown. Water became a scarce commodity. The shower cabins at my hotel had been equipped with electric timers, all taps had been turned off and replaced with hand sanitiser, and people were encouraged to flush the toilet only when necessary. In the UK, droughts tend to be less of an issue. But there is a similar, less visible, resource problem, which requires our urgent attention – the decreasing availability of effective antibiotic drugs. Antibiotics are a class of drugs that act against bacteria, and are therefore used to treat bacterial infections such as pneumonia and meningitis. They are also frequently used in the prevention of surgery-related infections, and commonly administered alongside long-term cancer treatment (which weakens the immune system). One might say that antibiotics represent a cornerstone of modern medicine. Indeed, the time before the discovery of antibiotics in the 1920s is often referred to as the medical ‘dark ages’ (Elhani, 2001). While antibiotics save lives every day, it is predicted that they will lose effectiveness in the near future. This is due to a biological process called antibiotic resistance. Generally, the more antibiotics are used, the more bacteria adapt to the environment by becoming resistant to antibiotic drug treatment, and this resistance will spread to other bacteria, which will in turn pass it on and multiply. As a result, infections become increasingly difficult to treat (Levy, 1998). If left unaddressed, antibiotic resistance will overtake cancer as a major cause of mortality within the next 30 years. Of course, antibiotic resistance is partly a biological problem, and it requires continued research into the development of new antibiotic drugs as well as alternative treatments for bacterial infections. However, given the slow progress of such research over the past decades (Davies & Davies, 2010) and the increasing urgency of the threat imposed by resistant bacteria, the problem also includes a large behavioural component. It is a collective resource problem, characterised by similar challenges as other social dilemmas like the drought example outlined above (Foster & Grundmann, 2006). Society has an interest in the more restrictive use of antibiotics, thus preserving a stock of effective antibiotics for future patients. By contrast, individual patients with symptoms of an infection (but no confirmed diagnosis) naturally have an interest in avoiding severe illness or death. In most cases, these interests are best served by the immediate administration of antibiotics. Many antibiotics are comparatively safe and have relatively minor side effects. Patients may not always need those antibiotics – either because their infections will clear naturally or because their infections are not of a bacterial nature. However, in cases of clinical uncertainty where the source of an illness is unclear, it’s the easy option. Thinking back to our drought dilemma, there’s an important difference. The choice about antibiotic use always involves the role of a gatekeeper; a medical prescriber (typically a doctor), who regulates the distribution of drugs. In most countries, antibiotics cannot be purchased over the counter, and antibiotic treatment cannot be accessed without prescription of a trained professional. Based on this prescribing authority, the tricky resource dilemma falls squarely on their white-coated shoulders. While individual patients may ask for antibiotic treatment in the hope for a faster cure from their symptoms, it is ultimately down to the doctor whether or not an antibiotic is used. This means that they are burdened with the intractably difficult balancing act of protecting the common resource of effective antibiotic drugs, while ensuring safe treatment of their current patients. Is this really fair? Most doctors are highly educated and knowledgeable, but do they have the tools or training for making morally difficult decisions in intractable social dilemmas? They work in a fast-paced and highly stressful work environment, with regular exams, emotionally difficult situations, challenging working hours, and general organisational strains. Any prescribing decision can be tricky, requiring careful examination and fast thinking. But antibiotic prescribing is a different challenge altogether, involving consideration of both immediate patient needs and those of future generations. Also, a gatekeeper of scarce resources should be as objective as possible to ensure fair distribution. Doctors, however, have interests closely aligned with those of their patients. Most enter the profession because they want to help their patients. Their professional reputation and career progression depend on positive patient outcomes. As a result, doctors are typically motivated to invest all available resources into minimising risk and curing the patient in front of them, which in turn can lead to the overprescribing of antibiotics (Krockow et al., 2018). And who can blame them? Would you like to be the one to make such tricky choices? Think back to the drought example: If you had the power to restrict water access, how would you manage daily allowances? How to optimise antibiotic use? The antibiotic prescribing dilemma is complex, and any strategy will have to take a multi-layered approach. One way involves drawing on psychology research to understand how people behave in social dilemma situations. A particularly useful starting point can be the work of Noble Prize laureate Elinor Ostrom, who investigated decision making in resource dilemmas. She made a number of specific suggestions for increasing cooperative behaviour in line with society’s interests (Ostrom, 1994). If applied to the context of antibiotic prescribing, Ostrom’s suggestions might entail revisiting the access rights to antibiotics and providing more specialist training for antibiotic prescribers (see also Tarrant et al., in press). Another important point is to raise the visibility of antibiotic resistance and increase awareness of the problem’s urgency. As the situation stands now, most bacterial infections can still be cured with the existing stock of antibiotics, and this leads doctors (and patients) to underestimate the gravity of the issue. Increased reporting of negative patient outcomes due to drug-resistant bacteria would go a long way in creating a ‘recognition for necessity’ (Okeke, 2009) to optimise antibiotic prescribing. Another promising strategy for incentivising more conservative prescribing choices amongst medical doctors would be to use reputational measures. By highlighting individual prescribers with a history of particularly conscientious antibiotic prescribing and by rewarding choices to delay prescribing in favour of more rigorous microbiologic testing, it could be possible to create a culture of more balanced antibiotic decision making. Individual doctors may even end up striving for a reputation as a ‘conservative’ prescriber. Antibiotic resistance is a large and complex threat, which is unlikely to be solved overnight. It will require a joint effort of biologists and social scientists, and doctors will require support in their difficult prescribing choices. But what can you do as a patient? An obvious answer is to respect your doctor’s advice and accept their diagnoses and treatment choices. If your doctor doesn’t think you need an antibiotic, you most likely do not need an antibiotic. Similarly, if you are told to finish a course of medication, follow the advice and continue taking your prescription in line with the instructions. Finally, if you’d like to take your commitment even further and assist the collective effort to tackle antibiotic resistance, why not become an antibiotic guardian? It’s quick and easy, and everybody ranging from health professional to lay person can participate – I have! See https://antibioticguardian.com. Davies, J., & Davies, D. (2010). Origins and evolution of antibiotic resistance. Microbiology and Molecular Biology Reviews, 74(3), 417-433. Elhani, D. (2011). Does the emergence of antibiotic resistance announce the return of the dark ages? Annales de Biologie Clinique, 69(6), 637-646. Foster, K.R. & Grundmann, H. (2006). Do we need to put society first? The potential for tragedy in antimicrobial resistance. PLOS Medicine, 3(2), e29. Krockow, E.M., Colman, A.M., Chattoe-Brown, E. et al. (2018). Balancing the risks to individual and society. Journal of Hospital Infection, 1-18. Levy, S.B. (1998). The challenge of antibiotic resistance. Scientific American, 278(3), 46–53. Okeke, I.N. (2009). The tragedy of antimicrobial resistance. Current Science, 97, 1564-72. Ostrom, E. (1994). Governing the Commons. Cambridge [u.a. ]: Cambridge University Press. Tarrant, C., Colman, A.M., Chattoe-Brown, E., Jenkins, D. R., Mehtar, S. Perera, N., & Krockow E.M. (in press). 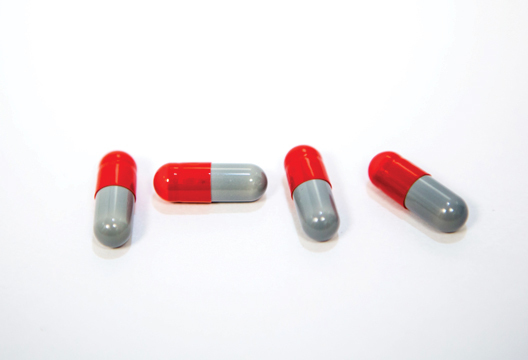 Optimising antibiotic prescribing: Collective approaches to managing a common-pool resource. Clinical Microbiology and Infection.